The Rival 310 basically sits between the EC1 and EC2 in size. So if you find the EC2 too small or the EC1 too big the Rival 310 is there to fill your ergonomic mouse needs. 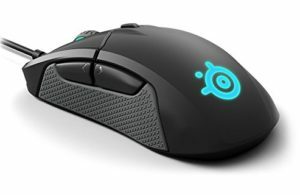 The Rival 310 is slightly narrower than the EC1 which makes me believe the Rival 310 is going to be a little bit better for claw, and the EC1 better for palm. The shapes are safe though, so either mice will work for the majority of grips. Sensors are a wash, both mice have perfect tracking sensors with no issues. The buttons on the Rival 310 are much better than the EC1 buttons, much lighter of a click with better response. The cable on the Rival 310 is lighter, the weight on the mouse is 9 grams lighter. The Rival 310 will likely handle better than the EC1. No call here, you're going to need to try both mice to really determine a preference, if you don't have the time for that, go for the cheaper one, the Rival 310, I don't think you can really go wrong with it.